Ask a question about 1241 Gulf Of Mexico Dr #801, or schedule a tour. Southwest corner 3,400 sq. 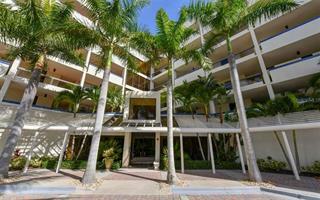 ft. 3 bedroom/3.5 bathroom residence with 10 ft. ceilings throughout is luxurious and serene at every turn. Beyond the private gated entry, through the lush landscaping and up the tiered waterfall drive you e... more.nter the unrivaled community of Water Club. Private elevator ascends to your entry foyer, passed the double entry door into the spacious living & dining room w/panoramic Gulf views. Stunning travertine floors, floor to ceiling walls of glass, curved arched ways, custom lite built-ins and hidden wet bar are timeless throughout the main living room. Kitchen is spacious with ample storage and breathtaking Gulf and Bay views to inspire culinary creations. Generous master bedroom with walls of glass overlooking Gulf waters and access to terrace to enjoy a gulf breeze from bed. Master bathroom w/dual sinks, soaking tub & separate shower. Private guest wing w/2 guest bedrooms & share a private guest terrace to enjoy the tropical surrounds. 2 parking spaces. 2 pets welcome. 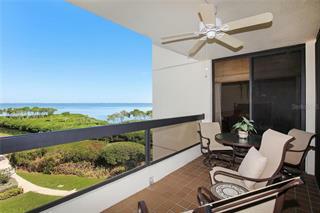 Grand clubhouse featuring: state of the art fitness center, ballroom, caterer kitchen, social room, library, massage rooms, lounge, BBQ, Olympic sized pool & spa w/expansive sundeck overlooking the beach, & Har-Tru tennis courts. 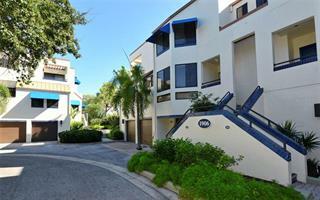 Minutes to boutique St. Armands Circle w/shopping, dining & drinks. Just minutes past that you have the vibrant culture of downtown w/opera, theater, museums, dining & drinks. 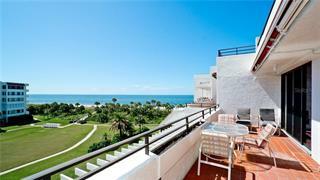 Savor the everlasting views from the breathtaking vantage point of this direct beachfront residence!